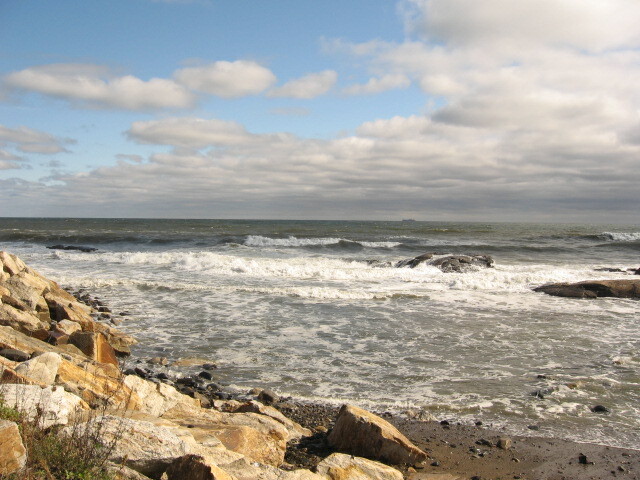 Here’s the ocean in the fall from Pulpit Rock Tower in Rye, where they used to watch for submarines during WWII. Yeah, history is kind of cool. How was your week? It’s been kind of a beast of a week here, so here are some fun links. Have you somehow amassed a lot of essential oils? We both have. Here’s a recipe for making your own perfume with them (and some vodka). I (Mary Kate) am a huge fan of the UfYH “method” or philosophy of trying to keep up with the messes in your life, and this week’s column in Persephone magazine is great: 5 Things to Clean When You Only Have 5 Minutes. You can really do a lot in 5 minutes. And lastly, as we head into “close the windows, share the germs” season (and in honor of Denise’s cold), let me share this xkcd comic that someone taped to the hand sanitizer dispenser in a Federal building in Boston. You’ve got to love bureaucrats with a sense of humor (because that’s what Denise and Mary Kate like to believe themselves to be). May your weekend be amazing. And don’t forget to get your tickets for the GFAF Expo in Springfield, MA, October 25-26!